It had been 918 days since the assassination in Sarajevo. The war that it triggered had evolved dramatically over that time. What started out as a European civil war had quickly morphed into a world war, fought in multiple continents and on all the planet's oceans. Then the demands of modern industrial scale war combined with new weaponry deepened the struggle into total war, involving the entire populations and economies of nations. Civilians, their factories, and their communities were now considered fair targets. Strangely, the Great War continued to metastasize. The blood lettings and resource draining of the 1916 campaigns—Verdun, the Somme, the Brusilov Offensive, and more—promoted the undermining of the legitimacy of the governments now clearly depopulating and draining the wealth of their countries through their policies. The life and death of nations and empires would be the stakes of the 1917 Game of Thrones. Probably few of the monarchs, politicians, and aristocrats who were toasting the New Year a hundred years ago anticipated that what came next was to be even more horrid in almost every respect than 1916. 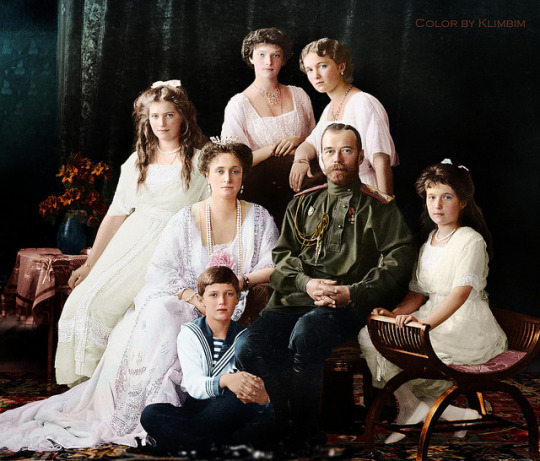 Perhaps a few months later, however, when the Romanov dynasty fell during the February Revolution—the first of four royal houses that would collapse due to the war—they would experience a premonition of impending doom. Then again, maybe they were just as surprised and puzzled as everyone else when things began utterly collapsing. Now the dark forces are destroying Russia's last stronghold — the church. A rascal, a khlyst, a dirty illiterate peasant is playing with our churchmen. What abyss are they taking us into? 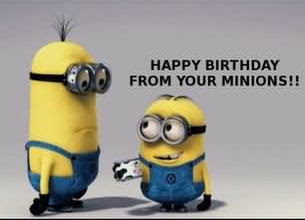 My God! I want to sacrifice myself and kill this vile creature — Rasputin. The elites of Petrograd had had enough. The monk had to die and Gregorii Rasputin was escorted out of the land of the living 100 years ago today. His death was the result of a plot that included the Grand Duke Dimitrii Pavlovich, first cousin of the Tsar, Prince Felix Yusupov, whose wife was the niece of Nicholas II, M. Purishkevich, a monarchist deputy in the Duma (quoted above), and Dr. Lazarevsky, who accompanied him. Rasputin went out in a most memorable way, leaving a "tough to kill" legend for the ages behind him. 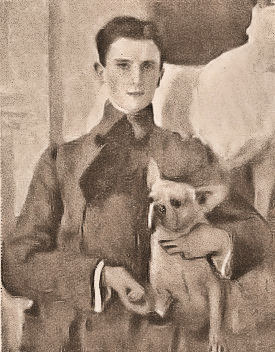 Prince Yusupov had gone to fetch him in his car very late in the evening of the 29th and brought him back to his house. Rasputin went along on the prospect of meeting Yusupov's attractive wife, who was actually safely out of town. The conspirators clearly knew their man; they just didn't understand how difficult he would be to put down. They first tried to poison him, but as the poison seemed slow in taking effect, Prince Yusupov shot him with a revolver in a panic. Rasputin fell to the floor. Thinking the monk dead, the assassins adjourned to another room to celebrate over champagne, only to discover when they came back to check the body that Rasputin was still alive. Waking up as he was shook, Rasputin tried to flee. Yusupov and his associates chased Rasputin out into the yard, shooting him several more times and beating him with a rubber club. To ensure he didn't rouse again, the men tied Rasputin in a blanket and dumped his body into a tributary of the freezing Neva river. Despite all the poison and the bullet holes in Rasputin, including one through his forehead, the corner's official cause of death was hypothermia, suggesting he was still alive when he was tossed in the river. In the first place the Commission desire to record their view that it was primarily due to the receptivity, courage and driving force of the Rt. Hon. 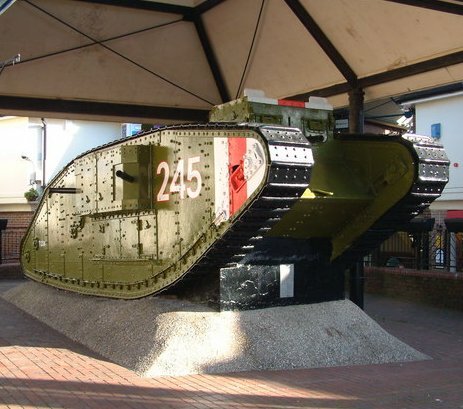 Winston Spencer Churchill that the general idea of the use of such an instrument of warfare as the ‘Tank’ was converted into a practical shape. Mr. Winston Churchill has very properly taken the view that all his thought and time belonged to the State and that he was not entitled to make any claim for an award, even had he wished to do so. But it seems proper that the above view should be recorded by way of tribute to Mr. Winston Churchill. The Inspiration/Perspiration Ratio is well known where inventions are concerned, and it should be recognized that Churchill’s contribution falls directly into the former category—but even then it did not spring from nowhere. His duties to the Fleet and the Royal Naval Air Service notwithstanding, the First Lord of the Admiralty was always looking for an opportunity to gain a toehold in a war zone. 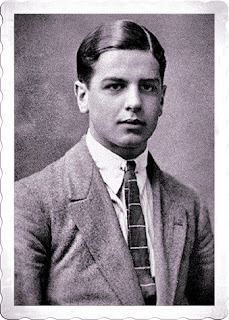 It came sooner than he thought when that piratical RNAS officer, Charles Rumney Samson (who in earlier times was one of those who taught Churchill to fly), took his squadron to Dunkirk in 1914. Within weeks, whenever the weather prevented flying, these men were tearing around Flanders in homemade armored cars, shooting up the German cavalry, and having the time of their lives. Grasping the opportunity, Churchill encouraged expansion of this armored car force with newly made vehicles from Britain, and before long anyone with a sense of adventure was anxious to join in, among them the legendary Bendor, the Duke of Westminster. But it didn’t last and couldn’t last. 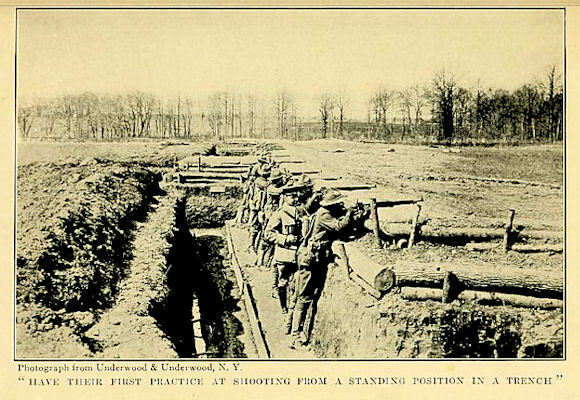 Trenches appeared, often dug across the roads; barbed wire likewise. Shell fire began to turn the ground into a quagmire and the movement of armored cars was restricted. After all, even the best of them were no more than conventional cars with about four tons of armor bolted on, even if many were Rolls-Royces. Most were handed over to the Army while the men dispersed, some back to sea. The Duke took his armored cars to Egypt, but others, fired up with the potential of armored warfare on land, returned to London and thought up new ideas. Among them was a chap named Tom Hetherington, who somehow managed to retain commissions in the Army and the Navy at the same time. 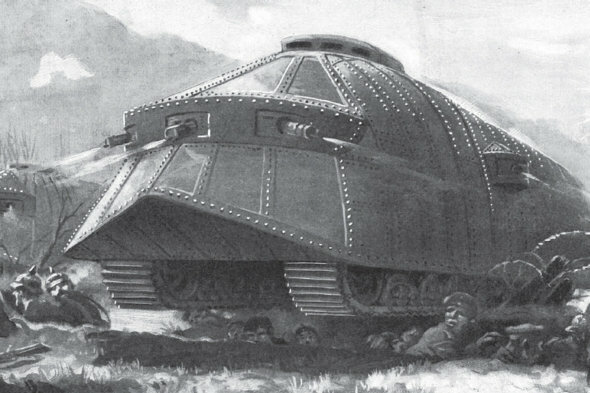 He dreamed up the idea of a huge machine, something one might associate with H. G. Wells, which would roll into Germany on 40-foot-diameter wheels, wade across the Rhine, and bring the war to an end in weeks. Churchill’s first effort along these lines was abortive. Two municipal steam rollers were acquired, linked up side by side and then driven like mad at a trench parapet, only to get stuck in the soft mud and sit there, belching smoke, rollers spinning, going nowhere. On a more practical level the First Lord ordained an Admiralty Landships Committee, which met (for the first time in the First Lord’s rooms at the Admiralty since he had the flu) under the chairmanship of Eustace Tennyson D’Eyncourt, Director of Naval Construction, in February 1915. This committee, and the driving force behind it, was Churchill’s greatest contribution to the evolution of the tank. The Landships Committee’s first problem was to decide upon the respective merits of wheels or caterpillar tracks. Hetherington’s huge wheeled design was simply too big, and even a half-scale version, designed by William Foster and Company in Lincoln, was rejected at an early stage. That left tracks, but tracks, as a means of crossing rough ground, were hardly known in Britain and early prototypes mostly had to be imported from the USA [from the Holt Tractor Company of Stockton, CA]. 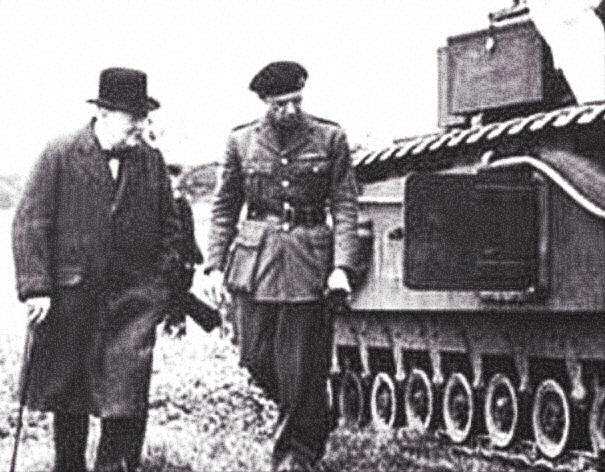 Murray Sueter educated Churchill on the properties of tracks by inviting him down to Horse Guards to push a small tracked truck around. Soon the Landships Committee had experiments going on everywhere and Churchill attended one with Lloyd George, as the following article notes, at a testing ground near Wormwood Scrubs. Even so, Churchill was better with men than machines. and his last great contribution to this saga was to appoint a pushy young merchant banker, one Albert Stern, as secretary to D’Eyncourt’s Committee. Commissioned a lieutenant in the RNAS, Stern went at it like mad, with no respect for rank or station. Stern didn’t tread on toes—he lept on them and managed to make himself very unpopular, but he got things done. 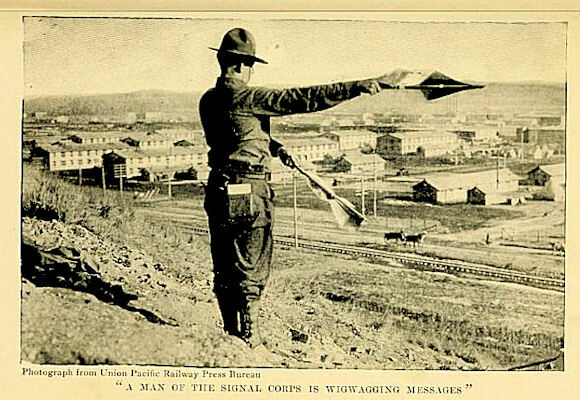 A prototype machine, first known as “Little Willie,” was running by the summer of 1915. 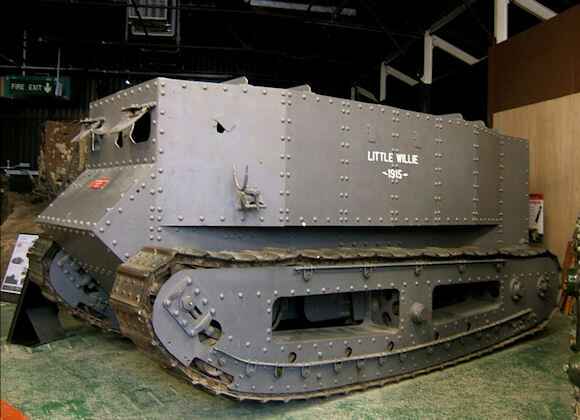 Its successor—“Big Willie” or “Mother”—the true prototype of all British World War I tanks—was completed the following December and a matter of months later, production began. 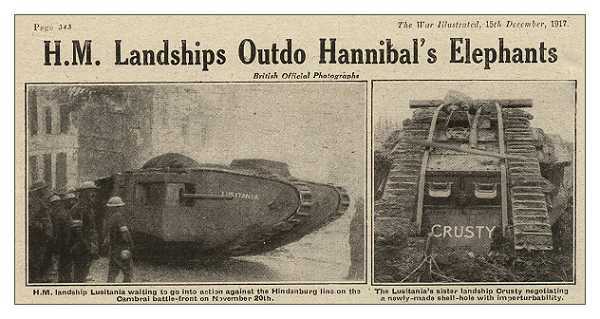 As Marcus Frost relates next, tanks went into action for the first time on 15 September 1916. In the circumstances, it was an amazing feat to imagine, invent, design, and produce a brand new weapons system in so short a time. The Battle of Verdun was characterized by an intense ten-month bombardment that turned the battlefield into a sea of mud. Trenches, shelters, batteries, and communications were annihilated, yet Fort Douaumont survived. After the war was over, it was calculated that the fort had been battered by a minimum of 120,000 shells, of which at least 2000 were of a calibre greater than 270mm. Only the French 400mm and German 420mm shells succeeded in piercing the concrete carapace. After the war, French military engineers studied the strengths and weaknesses of Fort Douaumont and used their findings in the design of a new chain of concrete-covered underground forts that was specifically designed to prevent the Germans from ever again invading France from the east. This was the Maginot Line, named for the cabinet minister who most helped secure the approvals and financing for the fortifications. 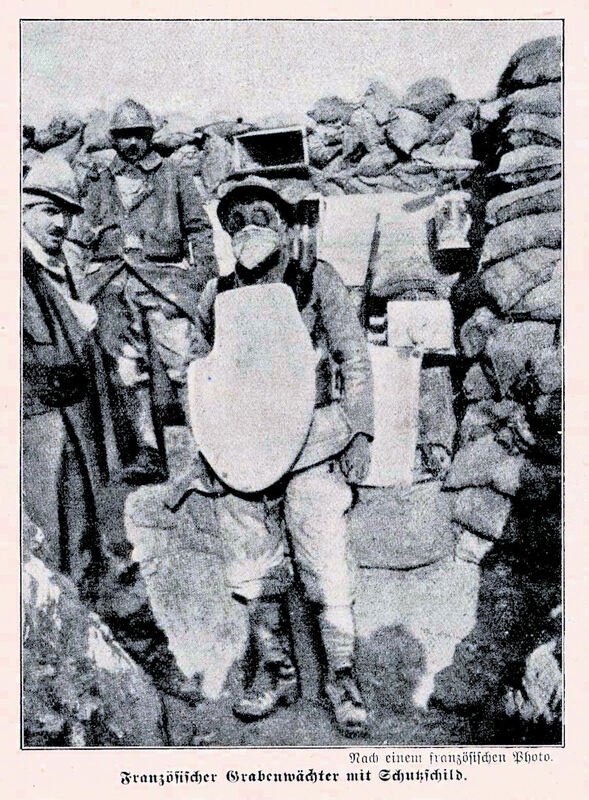 Between Maginot and his comrades, going blithely to war in the blue jackets and red trousers of the French Army of 1914, and the filthy and exhausted men on both sides who fought so tenaciously for Fort Douaumont throughout 1916 there are two years of a type of warfare that no one could have imagined. For his service at Verdun and his industrious effort in support of French veterans and to improve the defenses of the nation, a monument to André Maginot was dedicated in 1966 on the Verdun battlefield near the German high-water mark at Fort Souville. An interesting idea for a work of fiction, Gossip from the Forest is a historical novel about the end of WWI's combat in November 1918. Thomas Keneally turns this narrow slice of time into a story without a great deal of elaboration, but clearly has fun along the way. We follow two negotiating teams to a railway car in Compiègne. The Allies, dominated by Generalissimo Foch, are in triumph, armed with ferocious terms for ending fighting. The Central Powers—well, Germany—are a rag-tag group including a politician, a self-hating naval officer, a continuously drunk count, and a useless general. 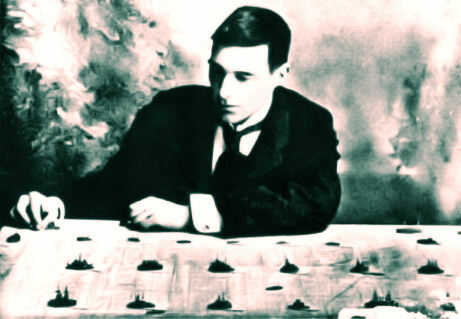 Keneally probes each character through dialog, flashbacks, and dreams, bringing forth their unique natures and approaches to the Great War's finale. The first half of the book is about the teams assembling and traveling to the famous railroad car, while the second covers the negotiations there. The delegations' leading members are probably the most interesting. Matthias Erzberger appears as both very competent and good at improvisation, while also being terrified and far out of his depth. He is frequently afraid of being shot, a fine premonition of his fate, after the novel's events. 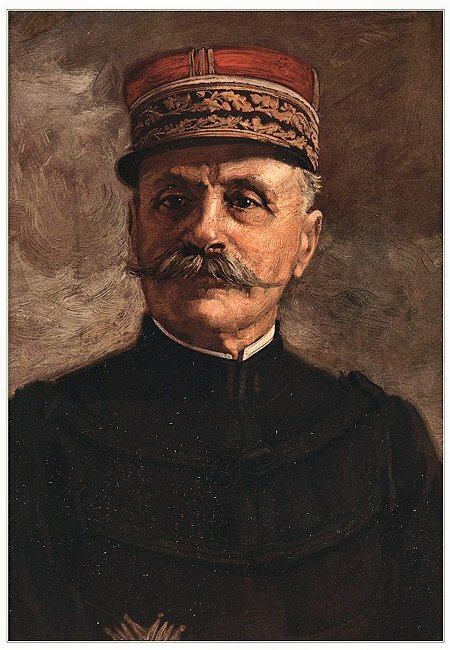 Ferdinand Foch begins the novel and broods over the negotiations, a man obsessed with concepts and sleep, utterly confident of his powers almost to the point of unreason. Gossip from the Forest is fine fodder for students of WWI. We see the once-domineering German Empire starting to crack, as workers form soviets, the Kaiser quits, and, most astonishing of all, soldiers question orders. 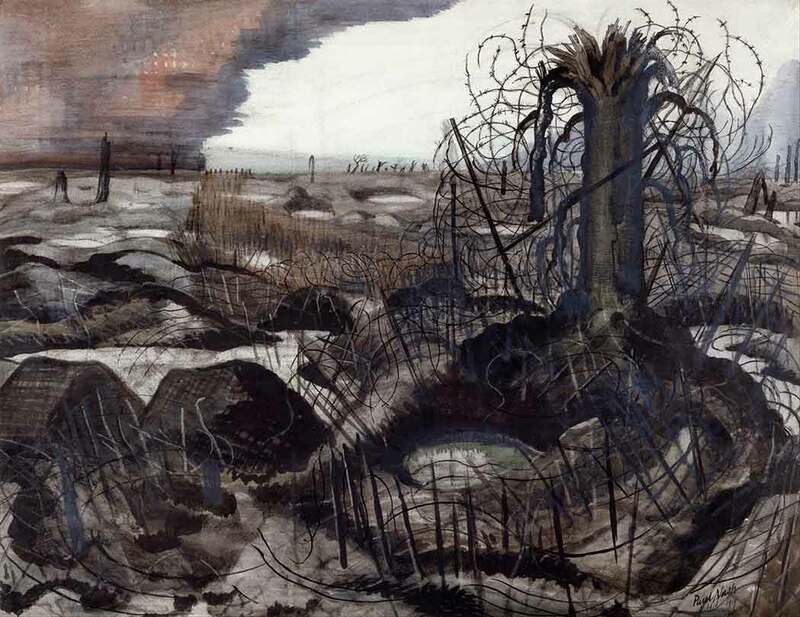 We receive glimpses of the war's terrible costs, from German mass starvation to the ruin of northeastern France and the shell-shocked nature of the surviving troops. The German Revolution begins. Alas, this doesn't work too well as a novel. Conflicts arise but, thanks to history, don't proceed very far. The Germans are defeated, long for honor, and are swiftly let down into the abyss without much chance of doing anything about it. It's a socially limited book, as we don't engage with soldiers, keeping the novel largely to the top of society, and women barely appear. Too much of the book is nonfiction with a layer of dialog. [I]t was insufferable to think that in such a little space, round a table no bigger than a family dinner table, with note paper and pencils, it was possible for eight men to weave a scab over that pit of corpses four years deep. The Marshal stood still, his legs together, his precognitive passion all at once folded away as neatly as a beetle's wings. The Kaiser, who a week ago had been an evocation of the sun, yet today was just a comic train traveler. 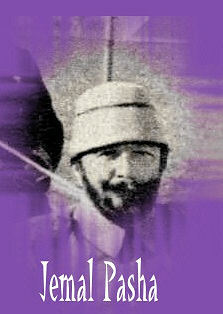 His name was Prince Max of Baden and his nickname was Max-Pax. Within three weeks he caught severe influenza, took too much sleeping draught and did not wake again until Turkey had surrendered and Austria sought an armistice. His ruinous reawakening made him prejudiced against sleep. For WWI aficionados, a pleasant four stars. For the general reader, three by the end. In 1902 and 1903, Scientific American published a series of articles in its weekly Supplement that presented a simulated a naval war between Germany and United States, played by the Portsmouth naval war-gaming society using the Jane Naval War Game. The war game accounts make fascinating reading, presenting a series of battles taking place worldwide—mid-Atlantic, South America, Philippines, China, and Havana—with friendly fire incidents, night actions, and U.S. submarines playing a key element. The game was played with fleets assigned to admirals and individual ships maneuvered by different players. Admirals were allowed to give any orders to their captains until firing commenced. After that, orders were transmitted through umpires. Shell hits on ships were recorded using a device called a striker, somewhat analogous to throws at a dart board. Maneuvers during night actions were carried out in the dark to simulate nighttime combat conditions. Since the intent of the games was to teach naval strategy and tactics, the articles do not give any background to the diplomatic sources of the war except to state that relations become strained between the U.S. and Germany over German actions in the Philippines and Central America—a legitimate U.S. concern at the time. 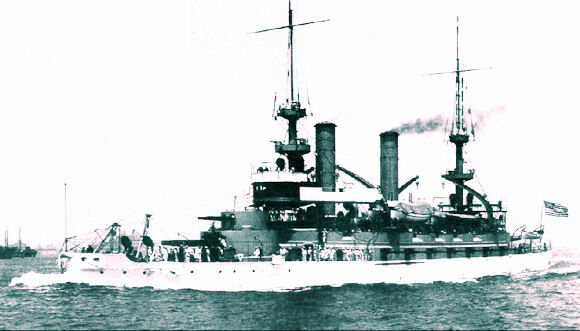 Each fleet consisted of over 40 battleships, cruisers, and monitors. For Detailed Information Download a supplemental Word Document by clicking HERE. The entire series of articles can be found by accessing the links in Table 1 which detail the entire game as it was played out. Included in the articles are detailed diagrams of the major engagements. Table 2 lists many of the significant individual ships in the rival fleets. 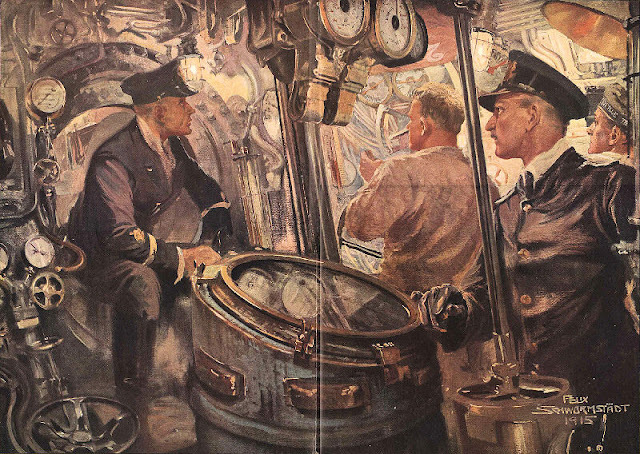 The initial engagement of the war was a mid-Atlantic cruiser action. The action was considered a German victory with the loss of two German vessels compared to five U.S. ships sunk and one struck. The second encounter was an indecisive battle off Cape Bojeador in the Philippines, with heavy damage to both sides but only one German ship sunk. The remaining German vessels continued to their port of Kiautschou (present day Jiaozhou, China) with the U.S. fleet going to Manila to refit. In the meantime the two countries’ small South American fleets battled off Camarones Bay, Argentina, resulting in a U.S. victory. The war then proceeded with a German attempt to secure Manila. A German fleet was sent to the Philippines and troops landed near Manila. This fleet was then met by the over-matched U.S. Far East division, which was essentially destroyed. However, the U.S. North Atlantic and Mediterranean squadrons were on route to Manila. On arrival of this U.S. fleet, the German land force was re-embarked and most of the German fleet retired to Kiautschou, leaving a few cruisers and destroyers. This German cruiser squadron was attacked during a night engagement by a similarly sized U.S. cruiser force. The result was each side was annihilated by destroyer attack with only one vessel surviving the encounter. In the meantime, a separate German fleet had crossed the Atlantic and captured Havana. The status of the war at this point was the U.S. home fleet preparing to engage the Germans in Cuba and the U.S. Far East fleet maintaining a loose blockade of Kiaochow. This set the stage for the final battles of the conflict. The first attempt by the Germans to break the blockade of Kiautschou resulted in the Germans returning to port after some inconclusive maneuvering between the fleets. The second sortie started with some inconclusive engagements and concluded with a severe defeat of the German fleet, losing five of six battleships, with one badly damaged to two sunk and one badly damaged out of five for the U.S. The remaining two U.S. Far East battleships were then summoned to return to the U.S. to help deal with the German Atlantic fleet, which was raiding the East Coast. This prompted the Germans to engage the U.S. home fleet off of Key West. The German fleet was conventional in composition, battleships and cruisers, while the U.S. fleet was a heterogeneous collection of battleships, monitors, and submarines. 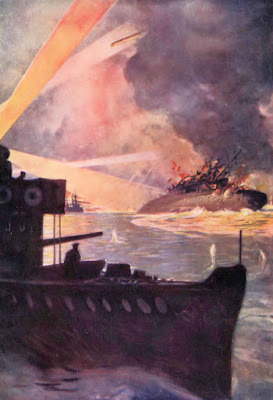 The battle resulted in the almost complete loss of both fleets, with the U.S. able to obtain victory only by the last-minute intervention of the U.S. submarines, which were able to sink the badly damaged Germans. At this point, the war was considered to have been concluded as a draw, with the U.S. in a more favorable position of being left with the only two remaining effective battleships. Germany remained in possession of one U.S. base—Havana. 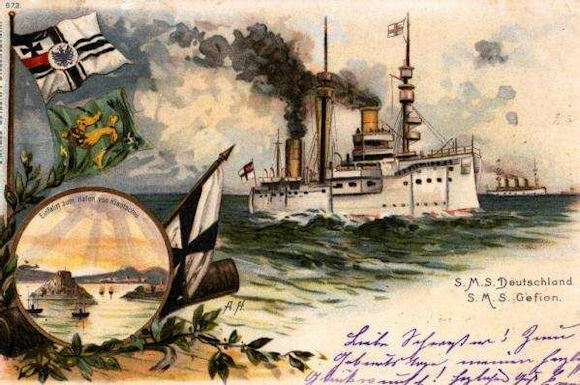 We will never know what would have happened in an actual war in 1903, but navies around the world made changes given the experience of the Battle of Tsushima in 1904 and, in particular, the all big gun battleship revolution resulting from the production of HMS Dreadnought. 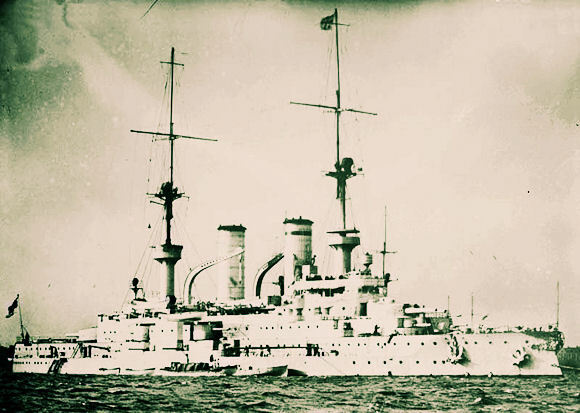 The HMS Dreadnought immediately made all the battleships in the war game obsolescent, and, as pre-dreadnoughts, they played limited or no roles in World War I. Other pre-dreadnoughts did play a role in World War I, such as at Gallipoli, where they were expected to force the Straits, ultimately unsuccessfully, and in the Black Sea for the Russian Navy. The author became aware of the Scientific American articles from a letter to the editor from Richard Paul Smyers that appeared in the August 2013 issue of Naval History. 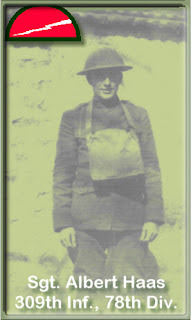 In early December 1918, almost completely recovered from the wound he had received in the Argonne campaign, my father, Sgt Albert K. Haas, was able to return to his unit, the 309th Infantry of the 78th Division. From Vichy, where he had been hospitalized, Albert went by train to Nevers and from there to divisional headquarters in Semur. Next he was directed to hike on to the nearby village of Genay, where he was eventually billeted in a room in the home of Madame Laurent and her mother. 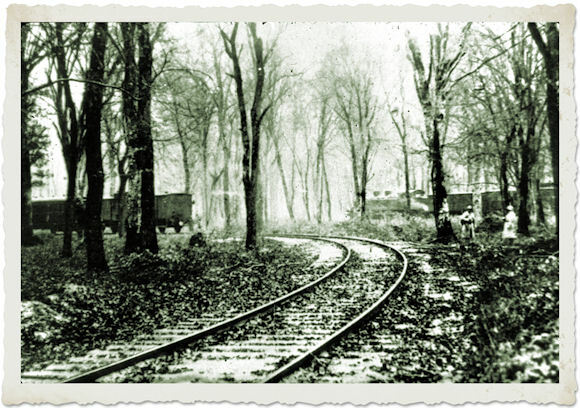 At Christmas time Albert was supposed to go to a special leave area, but something went awry with the railroad arrangements, so he and his roommate, Ed, were sent back from Semur to Genay to await orders. Arriving back in the village on Christmas Eve, they discovered Madame had misunderstood the new billeting arrangements and had given their room to two other men. My dad later wrote, "After much discussion, we asked Madame's permission to sleep in the hayloft for the night. She did not think it good enough for us, but we finally convinced her it was. She insisted on climbing the ladder to the loft and taking a couple of white pillows with her for our bed. All our protest against misuse of pillows was in vain and we slept in the beds as arranged. It was rather a unique place to spend Christmas Eve." 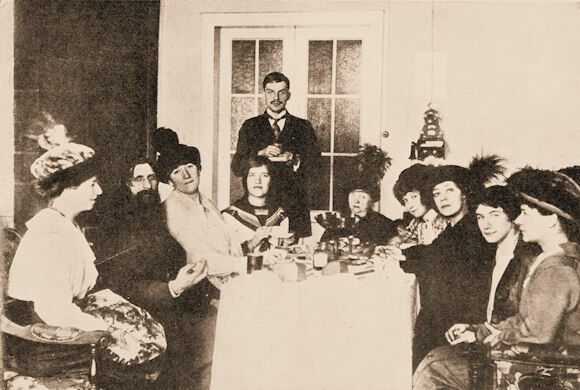 On Christmas Morning, "Madame insisted they have breakfast in her home. It was the strangest breakfast I ever had, Beef soup, wine, bread and cheese." In the evening, an impromptu entertainment was given at the Y.M.C.A. hut and Ed and I took the old folks along. All civilians in the town had been invited to attend. They thought the perfectly rotten show was wonderful." That night he and Ed again slept in the hay loft. Thus ended Christmas in Genay. The following morning he started for Semur again for transportation to the leave area in the Vosges Mountains, where he spent ten days. This is a letter from Letter from Lt. Willy Paton Berthold (Wilbert?) Spencer, Wiltshire Regiment, to his younger sister Helen, Christmas 1914. I hope you had a Happy Xmas. I wish I could have been at home but I had a very funny Xmas in a hole in the earth. We had a sort of plum pudding but I could find no sixpence in it. Thank you very very much for your lovely Xmas tree and the little pudding. I am longing to see you again and to give you a big hug. Lt. Spencer was killed in the Battle of Neuve Chappelle the following year at age 17. He is listed on the Le Touret Memorial, his body never identified. Five years after the Young Turks came to power a triumvirate of three men that had been had been involved in the Revolt of 1908 came to dominate Turkish politics. The Committee for Union and Progress had been steered at first by centrist, moderate elements. A series of disasters befell the empire, though, that would give opportunity for more determined types, the sort of politician that the army could support enthusiastically. In 1913 the stage was set for the men known to history as the Three Pashas. 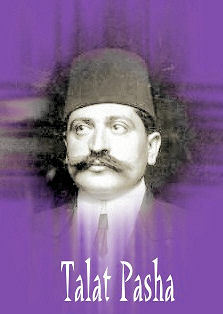 Talat Pasha (Mehmed Talat, 1874–1921) was one of the earliest leaders of the Young Turk movement, spending time in prison for subversive activities. After the revolution of 1908 he was elected as a deputy to Parliament and subsequently held important ministerial posts. He gave up his hopes to form an alliance with Russia and, after delaying as long as possible turned to the Germans and worked with Enver to enter the war on their side. During the war, as Minister of the Interior, he ordered the infamous deportation of the Armenian Christians. At war's end he was grand vizier (prime minister) and after the surrender, with Enver and Jemal, fled to Germany where, three years later, he was assassinated by an Armenian. 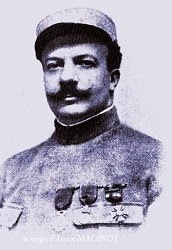 Jemal Pasha (Ahmet Jemal, 1872–1922) was a professional army officer who displayed skills as both an administrator and a propagandist. 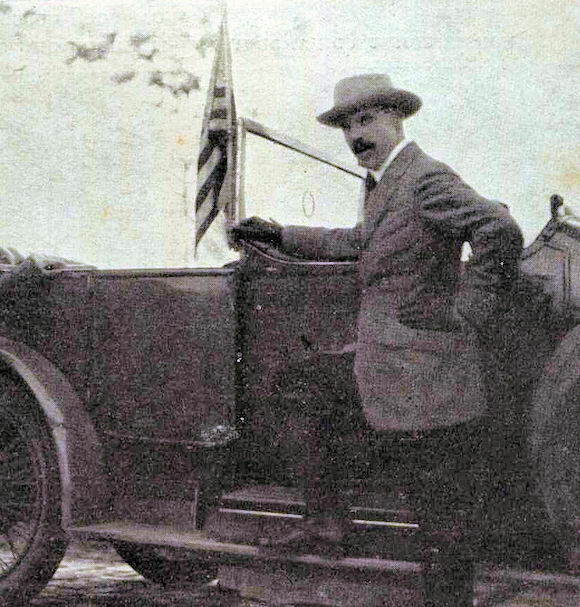 After the coup of 1913, Jemal became the highly important governor of Constantinople and was quite influential in formulating foreign policy for the government. His preference was to join in an alliance with France, but his efforts failed, and he eventually joined his fellow pashas in favoring fighting in alliance with Germany. He opened the war as minister of marine, later becoming military governor of Syria and commander of the Turkish Fourth Army. T.E. Lawrence reports he was considered a butcher by the empire's Arab subjects and was later sentenced to death in absentia for hanging Arabs suspected of treason. After the war he fled Turkey and died in Tbilisi, Georgia in 1922 at the hand of an Armenian assassin. 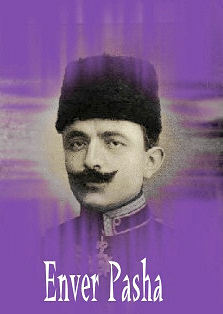 Enver Pasha (Ismail Enver, 1881–1922) was also a professional army officer, one with dream of expanding the Ottoman Empire. 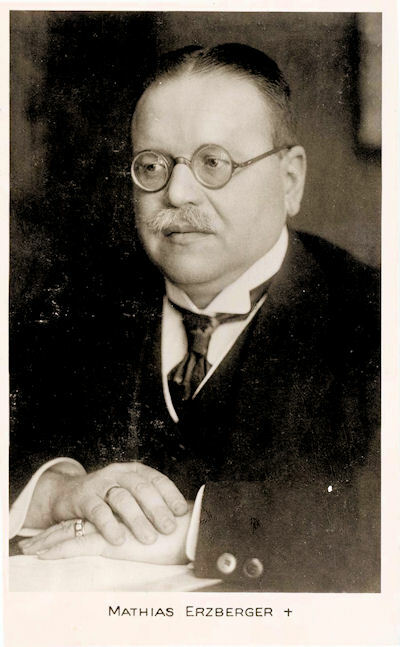 He was one of the organizers of the 1908 Revolt and advanced rapidly afterward, serving with distinction as attaché to Berlin and in the Tripoli War. He led the coup that gave the Young Turks full power in 1913 and entered the cabinet as minister of war. The most pro-German of the Young Turks, he played the key role in joining the war on Germany's side. 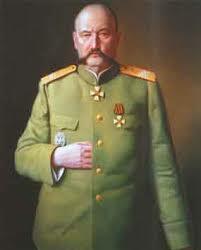 His military leadership and planning during the war, however, were disastrous. When defeat came he fled to Germany, pursued his grandiose fantasies throughout the Middle East and Asia, and was shot by the Red Army in Central Asia where he was trying raise a revolt against the Bolshevik government in August 1922. If you have ever toured the U-505 at Chicago's Museum of Science and Industry or seen the movie Das Boot, you have gained an appreciation of the claustrophobic feeling of submarine service. This 1915 image from Tony Langley's collection is the best I've seen from the Great War at capturing that. Felix Schwormstädt was a German painter who created illustrations during the First World War for the magazine Illustrierte Zeitung. Schwormstädt was something of a specialist in combat claustrophobia. 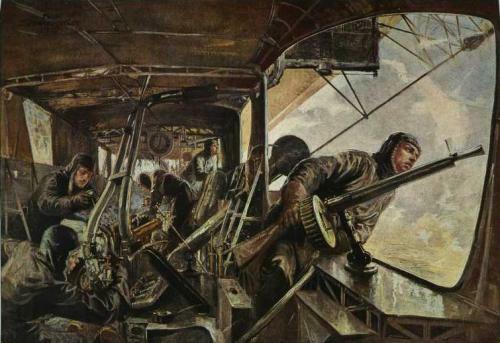 Here is a similar treatment of the inside of the gondola of a combat zeppelin. It is always worth remembering that, aside from word of mouth, the printed medium was the only form of information people could use when they wished to learn what was happening during the tumultuous years of the Great War. Radio and television were both things of the future. The printed word reigned supreme, and by happenstance technological advances and developments converged to make printing and distributing newspapers and illustrated news magazines in huge numbers both feasible and cheap. 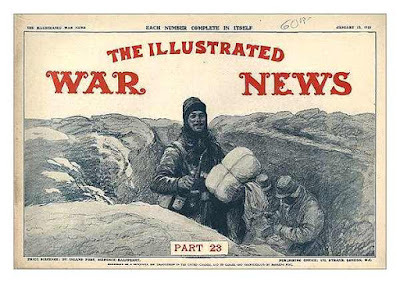 Demand for news is voracious during times of war and never more so than in the years 1914–1918. 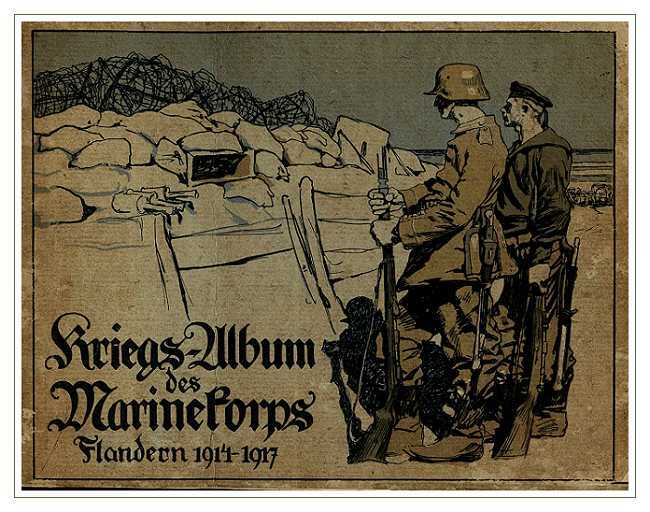 A bewildering plethora of new publications was launched in the early months of the war in all of the warring nations, all bringing news and accounts and, also important, abundant illustrated material in the form of either hand-drawn images or photographs of battlefields and armies. 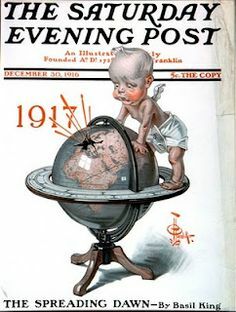 Aside from creating new magazines from scratch, old existing publications were almost completely revamped, bringing news of the war and yet more news on every conceivable subject. People were needed to cover events, write up stories, take photos, and create illustrations. Many thought they were suited for the job-—amateurs, adventurers, and professionals. 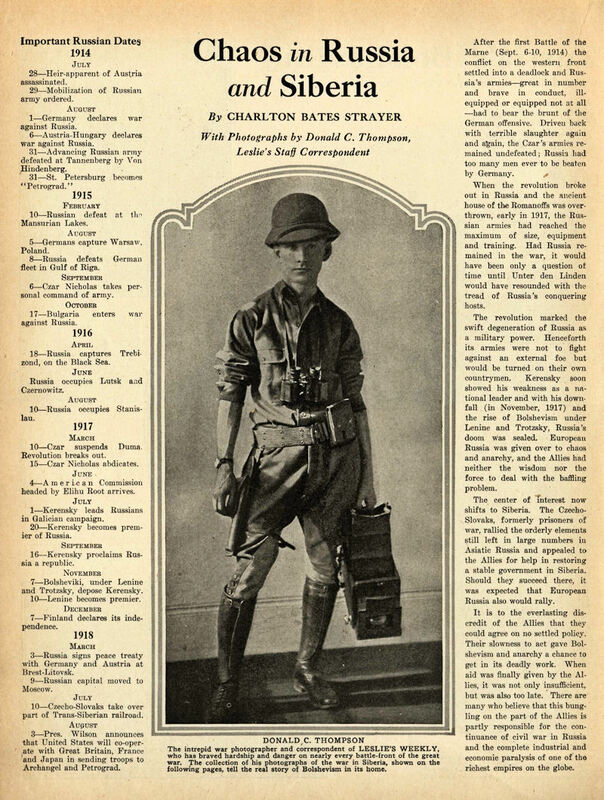 Only a few rose to any level of fame and proficiency, but those who did—writers such as Philip Gibbs, E. Alexander Powell, Hamilton Fyfe, Carillo Gomez, Robert Vaucher, Gustave Babin, Frederic Palmer, John Reed, Arthur Ruhl, Irwin Cobb and others—were all masters of journalism and writing, producing articles and books that still speak to present-day readers. Photographers and illustrator-reporters such as Donald Thompson, H.C. Seppings-Wright, Frederic Villiers, Fortunino Matania, and many more were just as important for the news media as the writers. Moreover, they have influenced our mental imagining of the Great War by providing archetypal imagery that characterizes how contemporaries and later generations have come to remember events, battlefields, and soldiers of the war. A large percentage of the contents of news magazines and newspapers was very patriotic in tone and often prone to give events a more than unrealistic interpretation. Such is normal in times of war, of course, though the journalists who rise above such temptations and easy solutions, are those who ultimately make a lasting contribution to our knowledge of events. It's easy to become lost in a big city public library. There are so many books, most long forgotten, that are aching to be read again. Several book titles have had variations on George M. Cohan's classic song, so when I first saw William McNutt's The Yanks Are Coming! my eyes didn't immediately seize on it. However, it looked so old, I pulled it off the shelf and noticed it was written during the war itself. I knew this would no doubt be a propaganda book of the first order, but in a sense that made me even more curious to read it. The book is mostly devoted to the author's visits to various National Army bases. 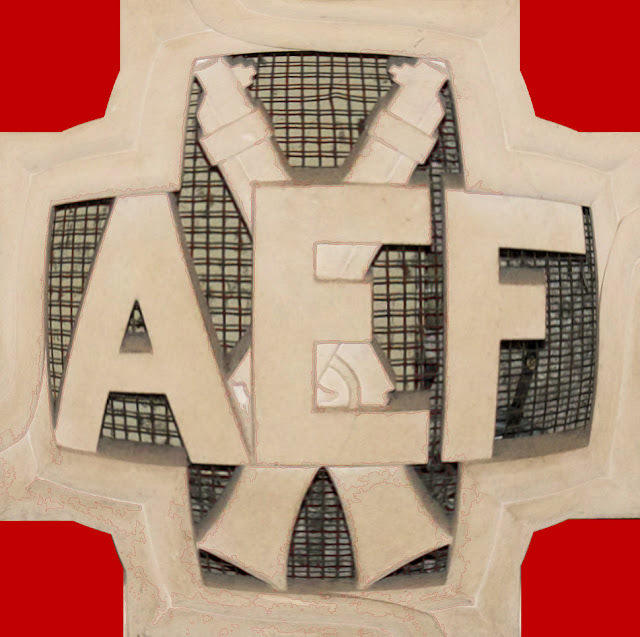 In the course of the text he makes trips to Camps Upton, Devens, Funston, Lewis, and Lee as well as the Army Ambulance Camp in Allentown, Pennsylvania. He then ends the book with a call to arms against folks being negative about the war effort. McNutt gives us various anecdotes of scenes he witnessed with his own two eyes or heard secondhand. Likely at least half of them were fabricated, but it's still entertaining. It is as German as sauerkraut. There comes trooping forth a gang of young fellows who look about as much like soldiers as Von Hindenburg looks like a ribbon counter clerk! A typical Yank hates a direct answer as a politician hates obscurity. He was a little shy on articulation, that horse, but he was a regular four-legged Warfield when it came to expression. So a cowboy in the infantry has this in common with a fish in the Sahara Desert: he's manifestly out of place. When I visited the place it was colder than the north side of a pawnbroker's heart! There are numerous other examples. This colloquial form is used throughout and makes for a very fast and enjoyable read even if some of the facts presented are of dubious quality. The end section, where the author rails against both the anti-war folks and, even more important, the loved ones of the fighting man who worry their soldiers sick with their sobbing concerns, is probably his second strongest point to get across. He spends the last 60 or so pages attacking those questioning the aims of the conflict and the “clackers”—the worriers who “clack” about every negative thing and repeat bad gossip even if they don't know it to be true. One can read between the lines and assume this was put there to appease the U.S. government. One last thing readily apparent when reading The Yanks Are Coming! is that McNutt was attempting to introduce the different regions of the country to each other. As he states in the text itself, “America is a cohesive whole only in geographical fact and ultimate intent.” In many ways the First World War is what made the United States truly united. That, as much as anything, is a great takeaway from this fun little diversion of a book. With both sides utterly exhausted, the Battle of Verdun, the longest struggle of the Great War, ended on 18 December 1916 after 302 days (the French like to say after 300 days and nights). 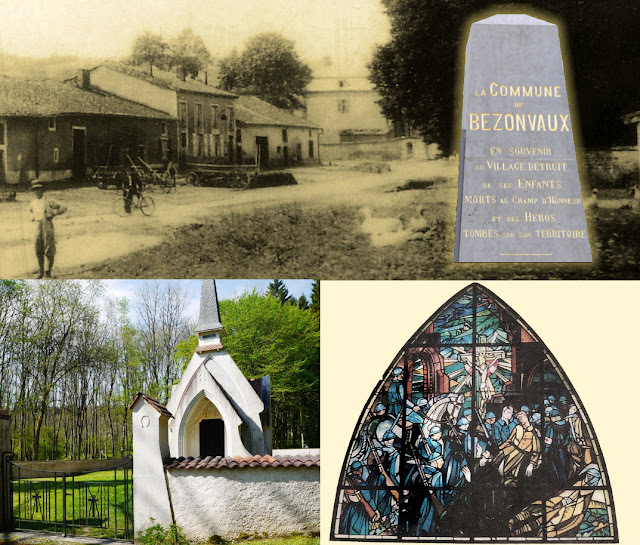 The last attack of the battle's most memorable aspect was the hard-fought recapture of the tiny, but symbolic, village of Bezonvaux. Bezonvaux, with a population of 149 in February 1916, was located a mile northeast of Fort Douaumont. A redoubt bearing the same name as the village was located a quarter mile to its south. 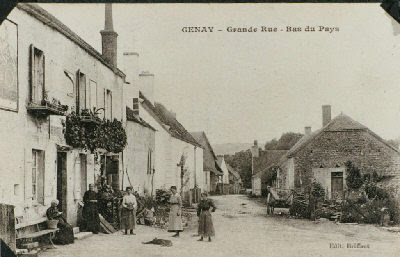 Caught between the main German attack from the north aiming at Douaumont and the French strategic withdrawal from the Woëvre Plain to the east, the village and redoubt could not be held. 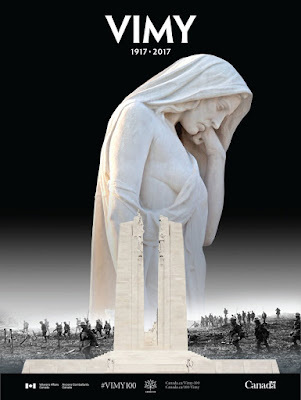 They were finally abandoned by retreating French forces on 25 February 1916. Afterward, shelling gradually wiped out the village completely. 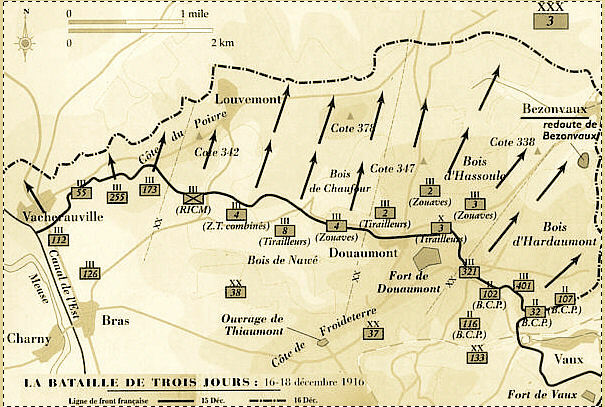 The success of General Mangin's re-capture of Forts Douaumont and Vaux in October and early November left German forces still holding territory they had captured early in the battle. This led Mangin and his superior, General Nivelle, to contemplate repeating the attack on a front approximately ten kilometers long from Vacherauville near the Meuse River, east to Eix with the limited objective of capturing this area. The date chosen was 15 December 1916. On 10 December the French began a preliminary artillery barrage to soften up the German positions. 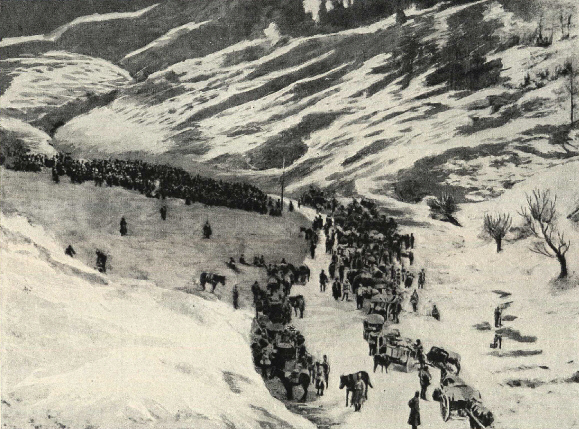 At 10 a.m. on 15 December, French troops stormed the German lines. Four of the French Army's best divisions took part in the assault. Three regiments of the 37 Division d'infanterie (DI) left Fort Douaumont pushing east, advancing all day long through snow, mud, and barbed wire networks toward Bezonvaux. Many of the soldiers ended up with frostbite. The attack on the village commenced at 2 a.m. on the 16th. Despite a French artillery error and heavy German shelling, the French completely rid Bezonvaux of its occupiers. However, they could not advance any farther. The Battle of Verdun was over. The front in this sector remained stable for the next two years, when American units would liberate the Meuse Heights just to the north at the very end of the war. Today, Bezonvaux is one of nine Villages Détruits (Destroyed) on the Verdun battlefield and one of the six that has never been rebuilt. 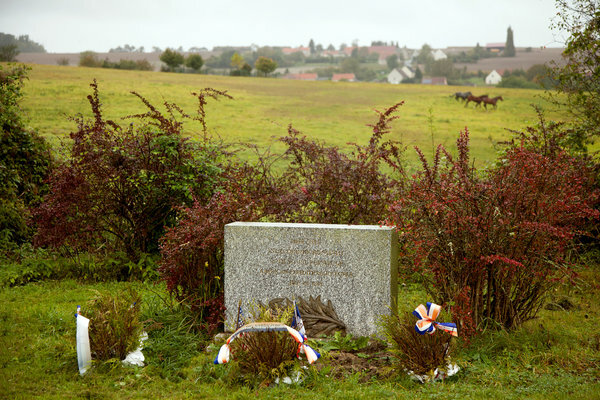 These are ghost villages, communities that laid down their lives for France, moving memorials thanks to the chapels and commemorative monuments erected after the end of the war. Bezonvaux and her sisters are managed by a municipal council of three members appointed by the prefect of the Meuse department. Annual commemorative services are held at each of the villages. The site today still shows signs of the wartime damage. Commemorating the events of 1916 are the marker and the chapel shown above. The Bezonvaux memorial chapel's stained glass window immortalizes 16 December 1916, showing troops wearing both the horizon blue uniforms of metropolitan France and the khaki worn by colonial forces. This article is just one of a dozen features presented in the December 2016 issue of our free monthly newsletter, The St. Mihiel Trip-Wire. Click HERE to read all our articles and subscribe. An assessment of the operations of the Caucasian Army from November 1914 to November 1916 produces a very different picture from that usually derived from studies of the Russian Imperial Army's battles in World War I. Unlike Central Europe, the record in Transcaucasia was one of a string of major victories, only occasionally disrupted by minor reverses. The extent of these victories is clear from statistics that demonstrate that of the 400,000 casualties suffered by the Turks between November 1915 and March 1917, no fewer than 300,000 were lost in fighting the Russians. 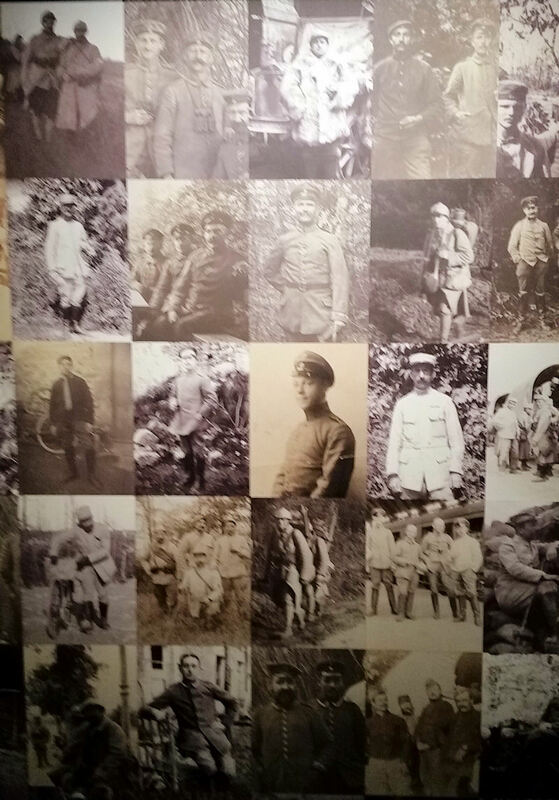 Some may suggest that this record of victories reflects the fact that conditions were somewhat different in the Caucasus from those in Europe or that the Turks were less worthy opponents than the Germans. Indeed, it is true that the Pan-Turkic and Pan-Islamic movements provided, at least initially, an ideological element that was lacking elsewhere in Europe. 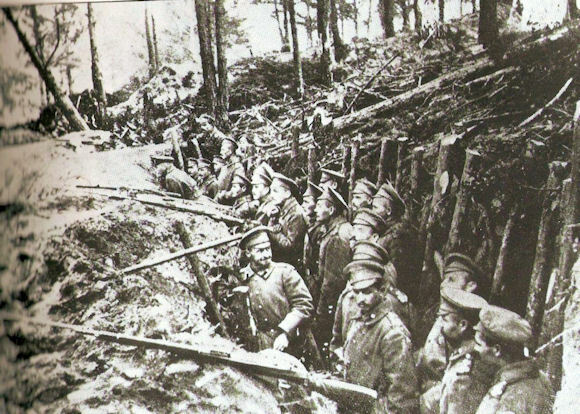 Furthermore, this at times also fueled guerrilla movements (Adzhar, Laz, and Kurd) that were largely absent in Europe during World War I.
Trench warfare was as prevalent in the Caucasus as in Europe, and the Caucasian Front was geographically constricted in a manner not unlike the Anglo-French Western Front. Yet, as in the Alps and Balkans, the associated problems were magnified by the defensive advantages provided by the rugged, broken terrain. Bitter winters with heavy snows and freezing temperatures had a similar impact. So did the miserable communications (which Yudenich worked manfully to improve) that plagued soldiers at all levels in this narrow and constricted, mountainous theater. As for "Johnny Turk," he was easily as tenacious, skillful and courageous as his "Hun" counterpart, as the British learned to their cost at Kut and Gallipoli. Apart from the visionary Enver Pasha, the same is true of many Turkish officers who, in many cases, were seconded by experienced German advisors. There was evidence of war-weariness in all armies by January 1917, but in the end it was the Ottoman Caucasian armies that seemed on the verge of disintegration. Despite its "sideshow" status and the limits this imposed on its activities, Yudenich's Caucasian Army had achieved much more than had been expected of it. 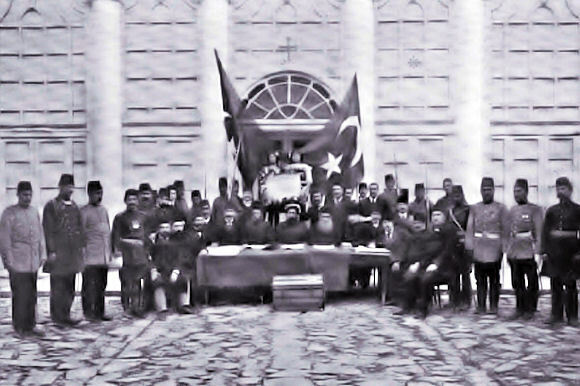 In the end, however, the effects of the February Revolution saved Turkey in 1917 from its final humiliation at the Russians' hands and deprived the latter of all the gains won at such costs by Yudenich and his Caucasian Army. Yudenich himself now is largely remembered as the White leader who failed to capture Red Petrograd in 1919, and he subsequently died in exile in an obscurity that has left both his and his army's earlier accomplishments largely forgotten. 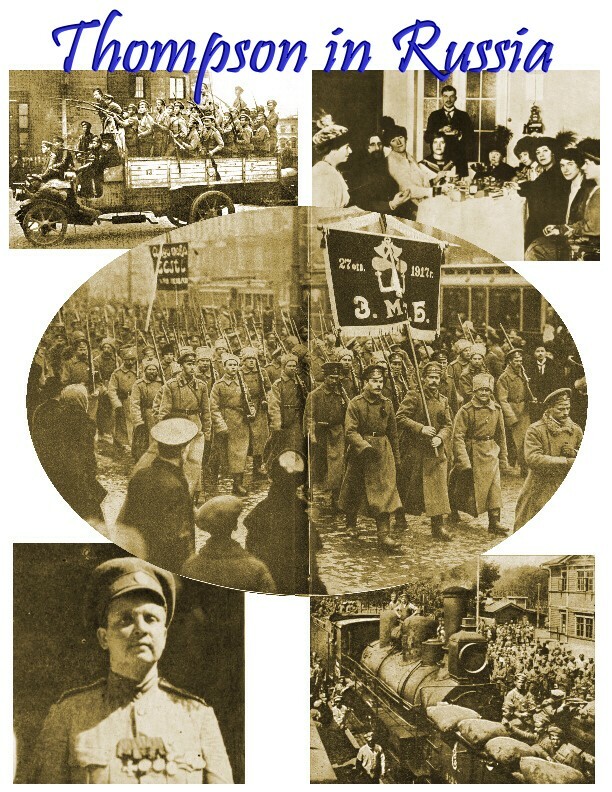 Nonetheless, any true assessment of the Imperial Army's effectiveness during 1914–1917 can only be completed through resurrecting this lost chapter of Russian military glory.